Next Saturday, April 13, marks the three-year anniversary of Kobe Bryant's last game in the NBA, in which he dropped 60 points on the Utah Jazz in front of a sold out crowd at Staples Center. 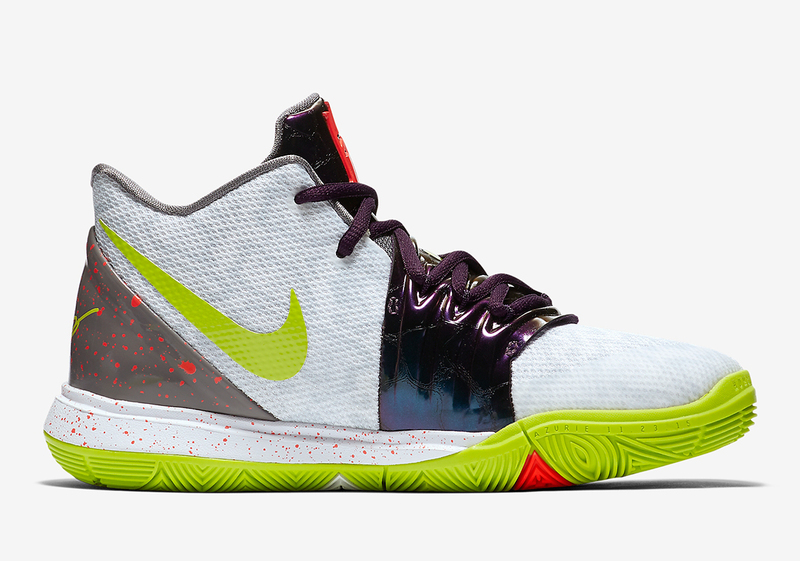 Nike has since dubbed 4/13 "Mamba Day," and they've released multiple Kobe-inspired Nike Basketball sneakers in celebration of the Black Mamba's Hall of Fame career. 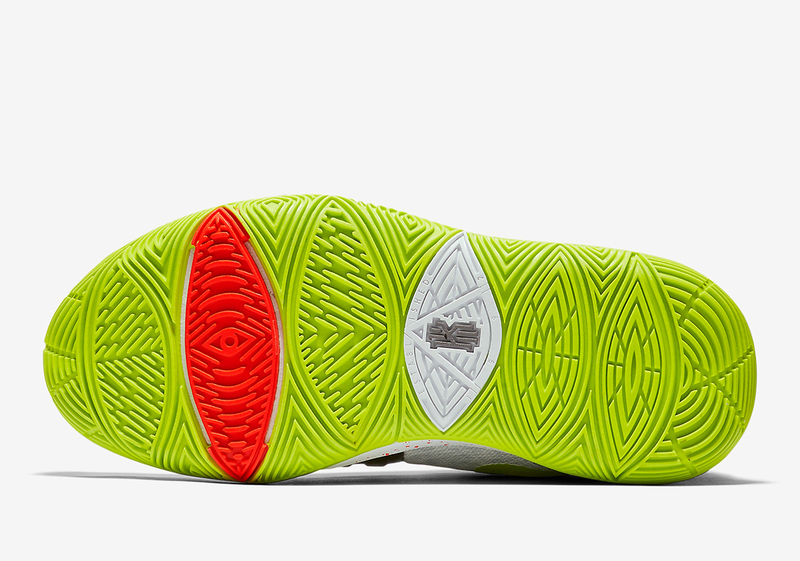 This year will be no different, and Nike has already announced plans to drop a "Mamba Mentality" Nike Kyrie 5. 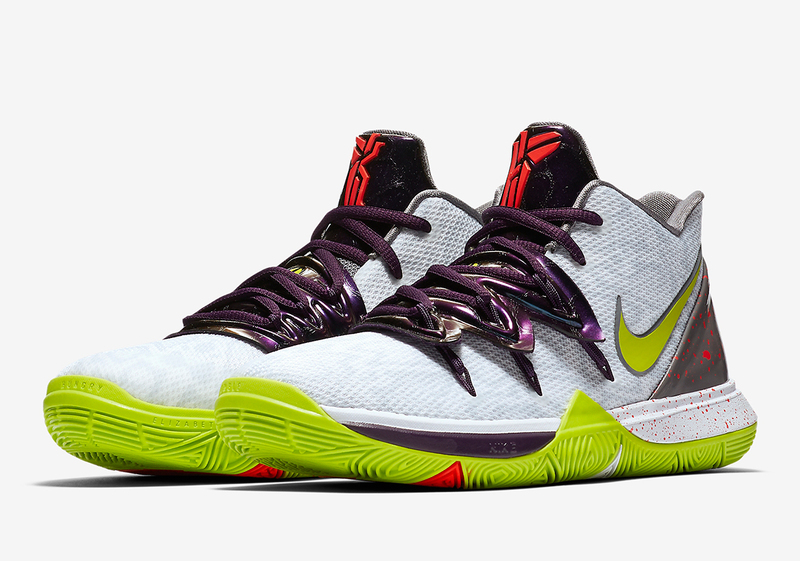 The special edition Kyries are inspired by 2009's Joker-themed "Chaos" Nike Kobe 5, with it's combination of white, black, deep purple patent leather and neon green. 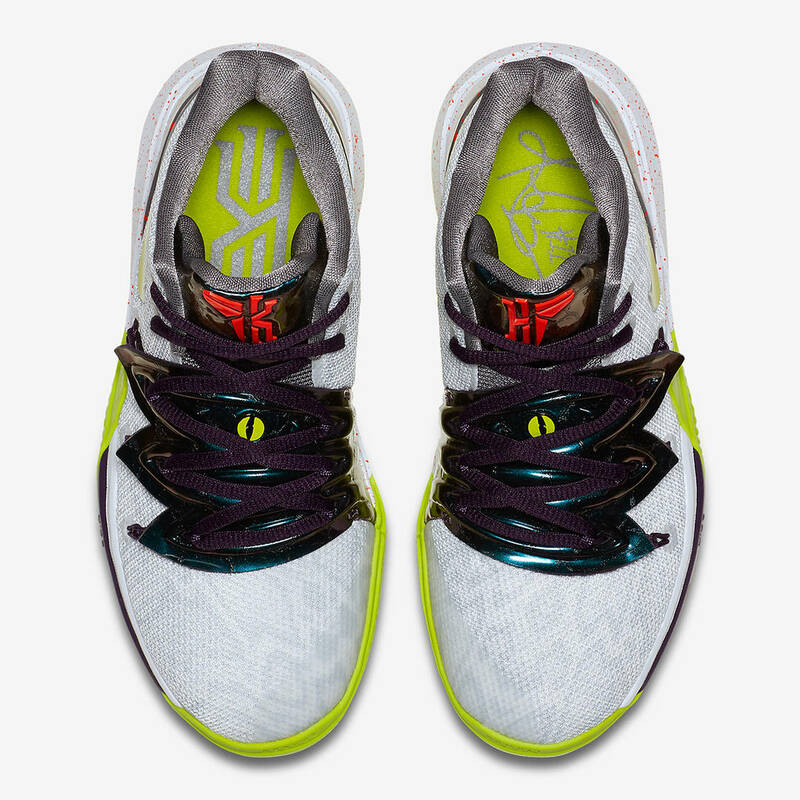 The kicks feature the same exact color scheme, along with a patent leather overlay, snake eye detailing and Kobe x Kyrie hybrid logos on the tongue. 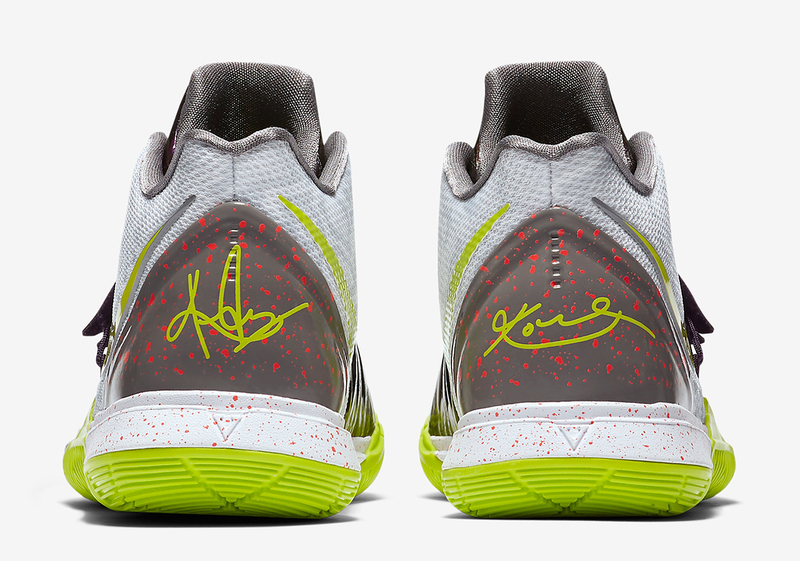 Additional details include Kyrie's signature on the left heel and Kobe's autograph on the right heel. 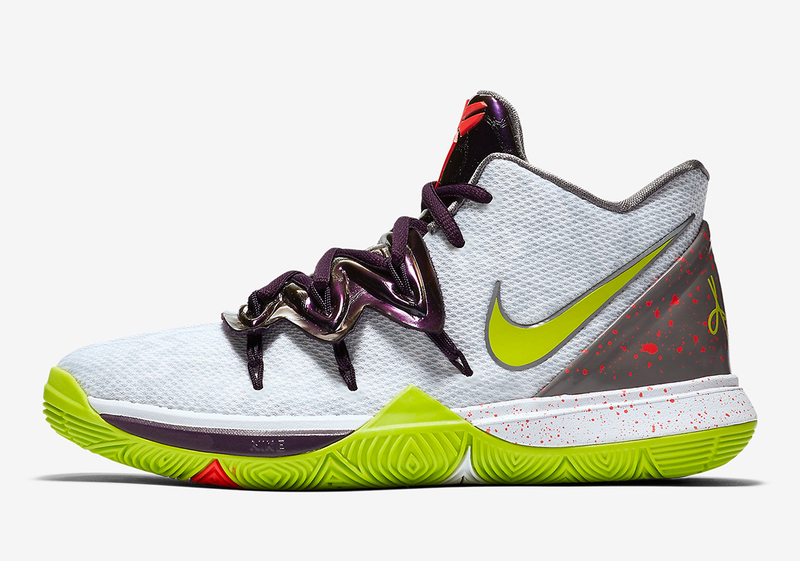 Price at $130 (Kid's sizes, $110) the Nike Kyrie 5 "Mamba Mentality" is slated to release on Mamba Day, April 13.